Veterinary medicine students from the Benguet State University (BSU) were oriented on wildlife protection and conservation through a seminar sponsored by the Department of Agriculture – Cordillera Administrative Region (DA-CAR) through its Regulatory Division on April 20, 2018 at the College of Veterinary Medicine (CVM) – BSU, La Trinidad, Benguet. Dr. Marietta Amatorio, BSU-CVM Dean, said wildlife subject will be included in the new curriculum of the CVM next year. “Our students have an inclination to this topic. This seminar will be a good start to the new program,” Dr. Amatorio added. Dr. Anthony Bantog, DA-CAR Chief of the Regulatory Division, encouraged the students to learn and take interest on wildlife. “Wildlife has now become a part of the department in terms of health and then conservation from the side of the Department of Environment and Natural Resources (DENR). I hope to having wildlife specialists from BSU to work with us,” he said. Wildlife, as defined by Yolando Ruperto of the DENR – CAR, refers to wild forms of plants and animals in all developmental stages, whether in captivity or being bred. A biodiversity law has been passed in the form of the Republic Act 9147 or the Wildlife Resources Conservation and Protection Act. 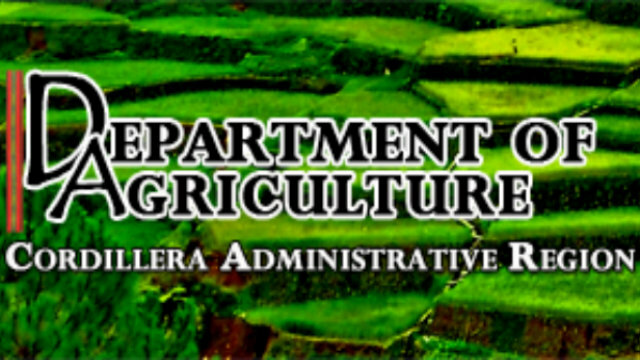 The joint Administrative Order 01 from the DENR, DA, and the Palawan Council for Sustainable Development (PCSD) enacts these agencies to implement the law with their respective jurisdiction over flora and fauna. The DENR handles terrestrial plant and animals, then aquatic resources with the exception of the “dugong” for the DA. Aside from that, Dr. Bantog listed several factors that would be taken into consideration with regards to wildlife. They are possible carriers of disease affecting animal health. The issue of reproducing wildlife was also tapped by Dr. Bantog. “What I want answered is if wildlife are considered as food animals. We have to understand the implications of eating wildlife because under the Animal Welfare Act, wildlife aren’t identified as food. We’re looking if we can go into breeding because exotic foods are now expensive,” he said. According to Ruperto, possession of wildlife requires proof of financial and technical capability, a facility to maintain, and that it should be obtained from legal resources. She reiterated that legalities are important for the issuance of permit and for the wildlife’s overall wellbeing. “When it comes to using wildlife for breeding and food, it is okay as long as the quantity is enough based on the national quota, not detrimental to the survival of the species and its habitat, and collected using appropriate techniques”, Ruperto reported.